I know that this is a homeschool blog but sometimes something happens that is just worth mentioning! 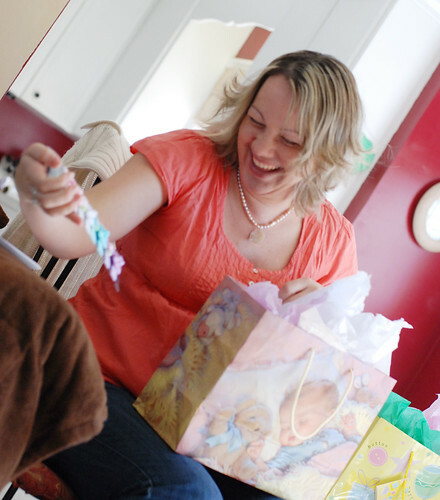 Today I went to a friends baby shower and this woman truly glowed with excitement over her new addition! I LOVE it when women are excited about the blessings that Father brings their way!! Children are love made visible!